Diane joined Miller & Zois in 2015 as is a senior litigation paralegal providing support to the medical malpractice team. 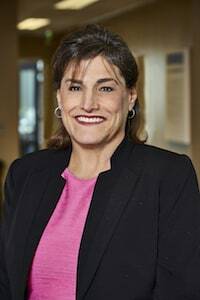 Diane has experience in all aspects of the litigation process including document examination and management, drafting of pleadings, fact development, gathering and analyzing medical and wage loss evidence, communicating with clients, and deposition and trial preparation. Diane earned a Bachelor's in Paralegal Studies and a Master's in Forensic Studies from Stevenson University, both with honors. A native of Maryland, Diane is an avid reader and enjoys spending time with her family and friends. She also spends her time volunteering for causes such as Make-A-Wish, the Leukemia & Lymphoma Society, and other community-based causes.